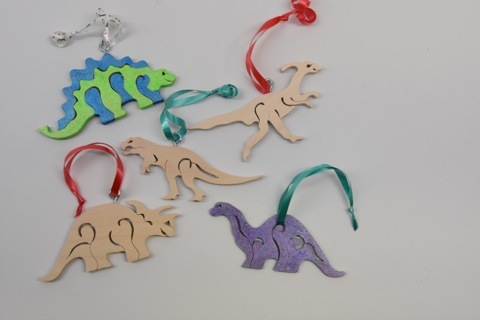 Judy created ornaments from her dinosaur toy patterns! She embellished them with what she calls “faux fretwork,” which involves drawing some fancy lines on the pattern and cutting in from the edge. 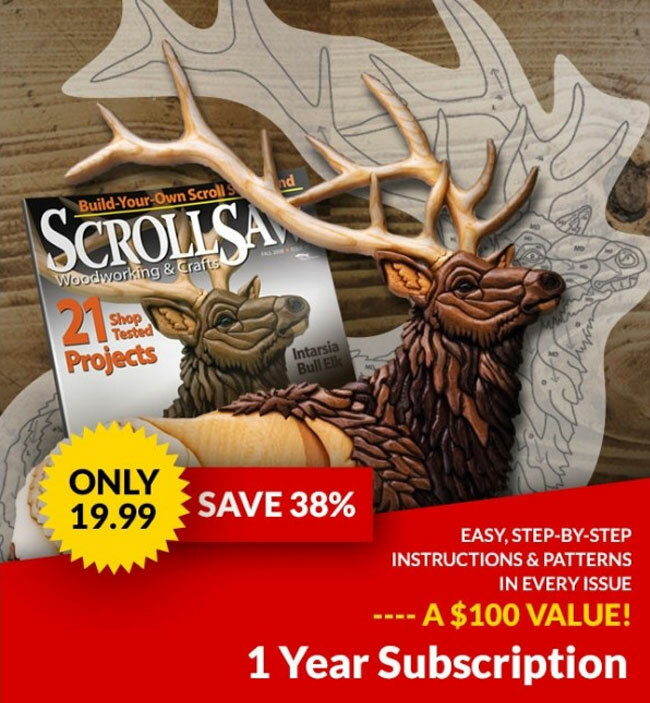 When Fox Chapel Publishing decided to reprint Judy and Dave Peterson’s Dinosaur Puzzles for the Scroll Saw, Mindy Kinsey and I thought the update meant adding patterns. However, as we started digging into the book, we found that we could alter the dinosaur puzzle patterns in really fun ways! Mindy realized we could remove the keys from the pattern to make a “one piece puzzle,” which we call toys (hence the new title, Making Wooden Dinosaur Toys and Puzzles). The toys are a safe alternative for young children who could choke on small puzzle pieces. Then, Judy shrunk the toy patterns to make festive ornaments. The smaller versions of the dinosaur toys could also make action figures or a hanging mobile. We had so much fun playing with the patterns in this book! 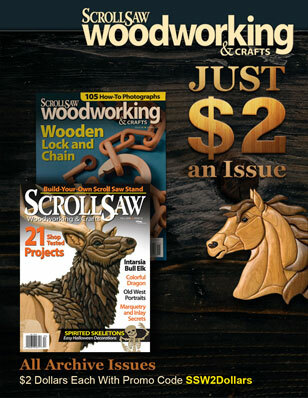 Making Wooden Dinosaur Toys and Puzzles will be available in March 2016 for $19.99 plus $3.99 S&H from Fox Chapel Publishing, 1970 Broad St., East Petersburg, PA 17520, 800-457-9112, www.foxchapelpublishing.com.